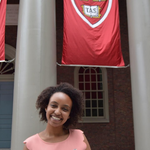 Staff writer Ruth A. Hailu can be reached at ruth.hailu@thecrimson.com. Follow her on Twitter @ruthahailu. From his time at Santa Barbara as a professor, researcher, and director, to his time here at Harvard as dean, SEAS Dean Francis J. Doyle III’s colleagues have consistently praised his ability to prioritize students and mentorship while also balancing administrative commitments. Fourteen Harvard College juniors have been selected as members of the first cohort of the Undergraduate Technology Innovation Fellows Program, an initiative between SEAS and the Business School that seeks to bridge technology and entrepreneurship through courses, workshops, and seminars. With the construction of the School of Engineering and Applied Sciences’ new complex in Allston almost complete, SEAS Dean Francis J. Doyle III said one of his foremost priorities is to “close the gap” — both physical and perceptual — between the new facilities and the main campus in Cambridge. Dean of the School of Engineering and Applied Sciences Francis J. Doyle III said in a February interview that creating corporate partnerships continues to be one of his top priorities. 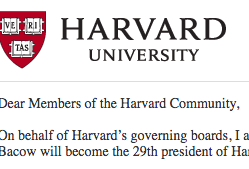 He said Harvard has historically lagged behind its peer institutions in these efforts and stressed the numerous benefits these industry relationships could bring. Embedded EthiCS — an interdisciplinary initiative between the Computer Science and Philosophy departments — has expanded to a dozen courses in the Computer Science department this semester and will extend to other disciplines in the near future. 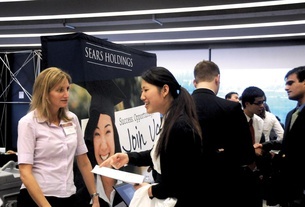 SEAS has implemented a number of diversity and inclusion measures following a survey that found more than a quarter of respondents have experienced harassment or discrimination. On Nov. 8, two major wind-driven wildfires began to ravage cities in California, worrying undergraduates from throughout the state as they watched the unpredictable firestorm. The Undergrad Union of Mixed Students received official recognition from the UC earlier this month as the first group on campus for all mixed race students. Throughout his 14 years at Dunster, John Pomeroy was a fixture of the House. He was a jokester, a storyteller, and a true friend to all who stepped into his office. 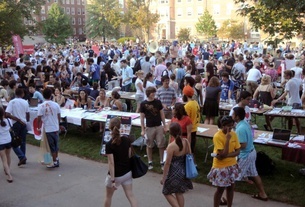 Harvard faculty say they hope they can use their platform and expertise to support staff and students directly affected by immigration issues.